Sukkot is a prophetic shadow of the coming kingdom of heaven. In Jewish thought the Festival of Sukkot is the most joyful of all holidays. The sages call it Z’man Simchateinu (“The Time of Our Rejoicing”). In Jewish communities throughout the world, people feel a sense of happiness and freedom as the high holidays come to an end and everyone heads outside to their sukkahs for celebrations. Dwelling in a temporary hut reminds us of the futility of our earthly pursuits and our need to trust in HaShem for everything. Sukkot is also considered the most universal holiday on the entire Jewish calendar. Scores of Messianic Gentiles and Christians also celebrate the festival across the globe. All this is a foretaste of the Messianic Kingdom, when there will be peace on earth, Israel’s enemies will be defeated, and Jew and Gentile will dwell together serving the one true God. Sukkot is a prophetic shadow of the coming kingdom of heaven. In this article we will explore the universal aspects of the Festival of Sukkot and see further how it foreshadows the Messianic Kingdom. 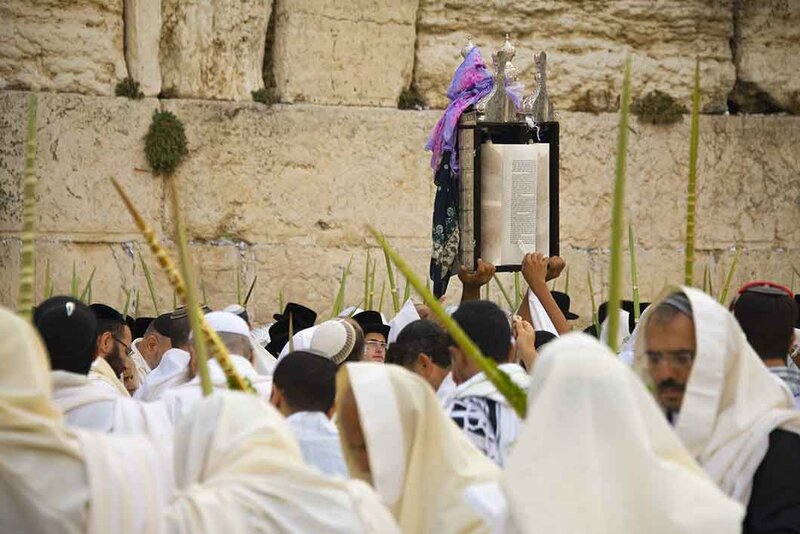 It is curious that what is considered the most universal of all the holy days contains such Jewish-specific language when it comes to its most central commandment. The Torah instructs that “all native Israelites shall dwell in booths.” Young’s literal translation says “all who are natives in Israel,” and the New American Standard Bible says “native-born in Israel.” The Hebrew for “native Israelites” is ez’rach beYisrael (אזרח בישראל). Whom exactly does this include, and whom does it exclude? Therefore, this phrase, “native-born in Israel,” refers specifically to Jewish citizens. The sages would agree with Levine’s suggestion, but a problem arises as to whether this means that the convert (ger tzedek, גר צדק) is excluded from this mitzvah. In several places in the Torah, the ger (sojourner) is contrasted with the ez’rach. Additionally, Leviticus 23:42 is the only place in which the term ez’rach appears, and the Torah does not go on to say that this law also applies to the ger. This evidence seems to imply that the convert is not obligated to the commandment of the sukkah. Ibn Ezra argues that the ger in these contexts does not refer to the convert but simply to the resident alien; hence the fact that the ger is not mentioned in Leviticus 23 does not exclude the proselyte from Sukkot. Rashi feels that the clarifying clause “in Israel” (beYisrael) is superfluous if it refers only to native born Israelites and therefore is added by the Torah to include converts. In turn, the universal interpretation in Judaism today is that the commandment to dwell in a sukkah applies to those who are legally Jewish persons, which includes converts. It’s not that the non-Jew could not dwell in a sukkah if he so desired, but he is not specifically commanded to do so. This is the only mitzvah in which the Torah uses such Israel-centric language. The rebuilding of the sukkah of David represents the restoration of the Davidic monarchy in the Messianic Kingdom. It is in that day that the Gentiles will be called by God’s name and will be included in the kingdom. 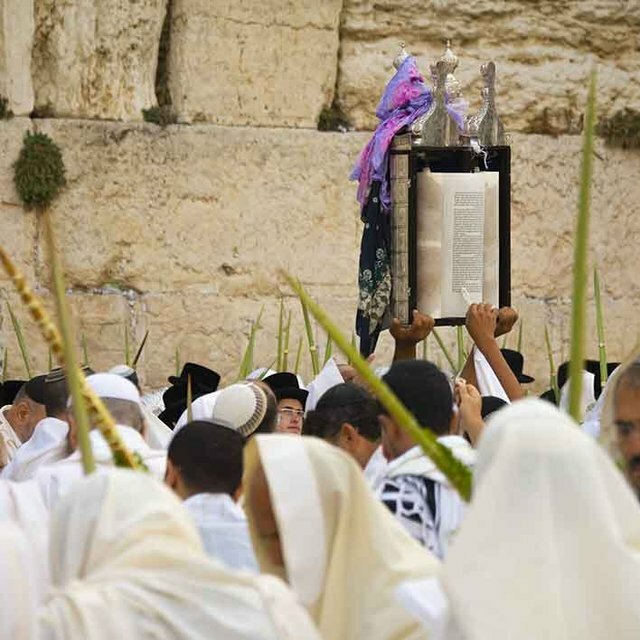 This connects the Festival of Sukkot to the Messianic Era and alludes to the day when, according to Zechariah 14, all nations will go up to Jerusalem to celebrate the festival that, as Rashi points out, includes the obligation to dwell in the sukkah. Adapted from: Sukkot, Gentiles and the Messianic Kingdom: Available as a free eBook, written by Toby Janicki.